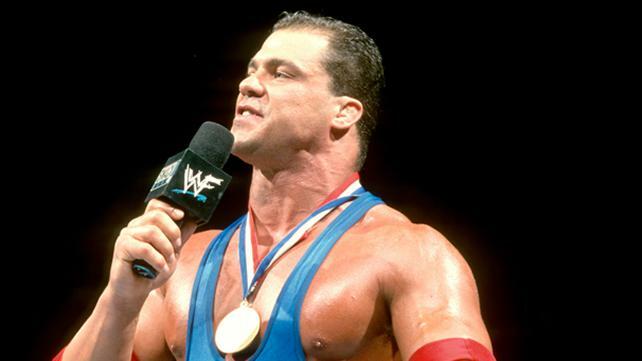 After winning a gold medal at the 1996 Summer Olympics — with a broken neck, no less — celebrated amateur wrestler Kurt Angle would find his way to WWE in late 1999. Clad all in red, white and blue, Angle attributed his success to his “Three I’s” (intensity, integrity and intelligence), all the while lambasting members of the WWE Universe who did not live by his example. Standing in stark contrast with The Attitude Era’s popular renegades like “Stone Cold” Steve Austin, D-Generation X and The Rock, the earnest, self-congratulatory “American hero” didn’t exactly connect with the WWE Universe at the time, but he excelled despite the disapproval of crowds around the world. Capturing both the European and Intercontinental Titles in February 2000 — making him a “EuroContinental Champion”— Angle went on to win the King of the Ring Tournament and the WWE Championship to round out one of the most impressive rookie years in WWE history. Though often not on purpose, Angle was frequently responsible for some of the most humorous moments of the time, including his association with Edge & Christian (as a member of “Team ECK”), strumming the ol’ guitar with Austin and his Texas Rattlesnake–esque milk truck assault on The Alliance in 2001.